There is no other holiday like it. To celebrate, some people like to get really drunk and party like it's 1999. Some people like to throw things that represent bad memories from the past year into bonfires while dancing around like a heathen. You'll be happy to know that I don't drink and that I didn't have anything bad memories to burn from the past year. So what did I do? How did I celebrate? 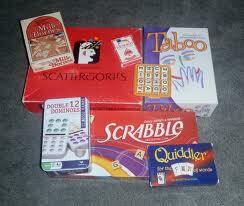 Mille Bornes, Scattergories, Boggle, Taboo, Dominoes, Scrabble, Quiddler, Hearts, and Push the Dummy to name a few. I like winning. So I try to win most of the time. Sometimes we play Dominoes when everyone wins (the stars were aligned to make that one happen. Or we didn't want to read the novel-like instructions to remember how to play). 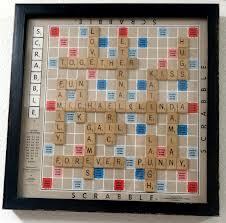 Sometimes we play Scrabble when my dad actually loses (a rare event that only happens once every 26 years!). Sometimes you don't have Taboo so you download it on a smartphone (there's an app for that!). Our family has been dubbed Word Nerds because of the wordy nature of the games we love to play. Another great thing about New Year's Eve is food. Lots of food. And sparkling cider. And playing games until 0330. Did I mention games? Did you know that if you dance after drinking a glass of sparkling cider, you feel really crappy? You think it would be common sense to not dance when one has a full belly of bubbly goodness, but when there's a strobe light (there's an app for that!) you can't not dance. So with the games, movies, dancing, games, social interaction, late nights, and games, I wish you all a happy 2012! Presenting the random photo from my mission! 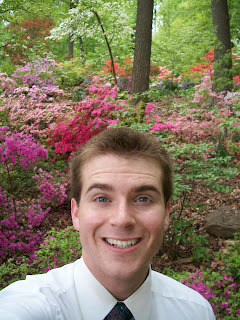 Me at the National Arboretum at the azalea hill. The National Arboretum was my favorite place to visit. Love this! We are gamers, too-- we must play someday. Puzzles, board games, card games-- love it all! Excellant post buddy. Your literary skills are developing at an exponential rate.